About once a month a workshop is offered. Unless otherwise stated all workshops are held at the Church of the Advent. Details below. Contact wqgworkshops@gmail.com for more information and to register for workshops. Once a year a retreat is held at Camp Pringle, Shawnigan Lake usually at the beginning of November. As information becomes available it will be added to this page. Note: Meetings, sewing days, workshops etc. are fragrance free. Please arrive 15 minutes early to avoid disrupting the class as you setup. if there is enough interest, we will set up small projects and sessions afer April on Sew Days. 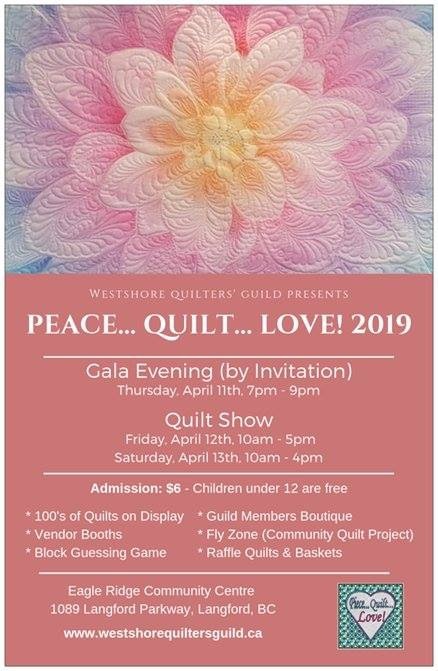 There are a few new quilters in our midst and we have an amazing amount of knowledge and talent in our Guild that is worth sharing with those that have been smiten by the “ quilt ” bug. Time to share & watch our guild grow in comfort and experience …. Booked – the main hall and foyer of COTA for November 30th to have a WQG Christmas Craft Sale. We are hoping this idea garners more interest between now and then. If you would like to be a part of this sale, please send us your input!